Couple of decades ago, preparing NonVeg at home was that way difficult task. This was becasue NonVeg gravy / curry needs many spices, ingredients to be added to make it tasty. 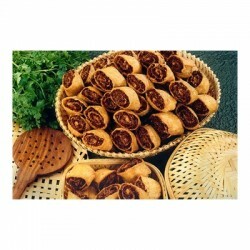 And if any of the indigradent is missed, taste is missed. 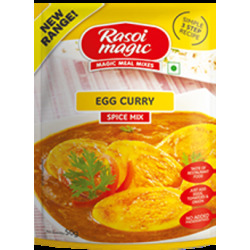 To make the life easy, Rasoi Magic has come up with ready to cook spice mix especially for NonVeg dishes, curries. 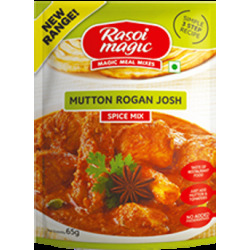 With Rasoi Magic ready to cook spice mix (NonVeg), you can expect tasty Punjabi and Moghalai dishes at home. 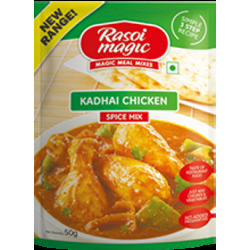 This has made Rasoi magic the most favored spice mix brand among NonVeg lovers of Indian food in UK, Europe. 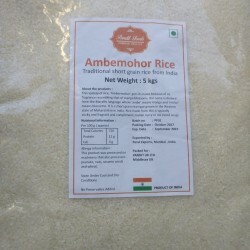 We have variety of Rasoi Magic ready to cook spice mixes in Non-Veg category. 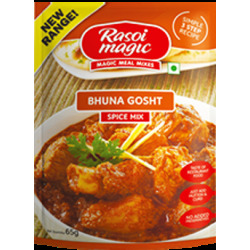 Rasoi Magic is the most popular and trusted brands when it comes to Ready Mix Masala, especialy NonVeg preparation. 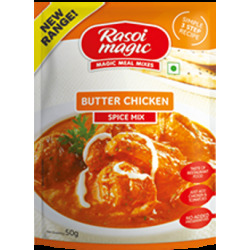 Rasoi Magic (NonVeg) There are 5 products.